I wish you and yours a happy 2006! The golden number or ratio (phi) is an irrational number, approximately 1.618 033 988 749 894 848, that possesses many interesting properties. Shapes proportioned according to the golden ratio have long been considered aesthetically pleasing in Western cultures, and the golden ratio is still used frequently in art and design, suggesting a natural balance between symmetry and asymmetry. The knowledge of the Golden Number also existed in old cultures worldwide. i.e. Aztec, Egypt and Tiwanaku. More info about the golden ratio can be read here. 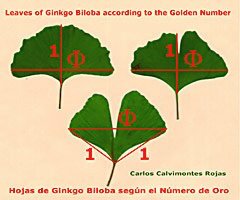 Carlos Calvimontes Rojas sent me these pictures in which he shows the golden number in the leaf of Ginkgo biloba. Geometry of the parabola according to the golden number and Geometria de los exapenta and Medidas Sumerias-Sumerian Measures and Puerta del sol de Tiwanaku. A silver Christmas decoration shaped as a Ginkgo leaf! "As I parked near the steps at the Hill Street lot I noticed a big change: the ancient male ginkgo tree had shed every last leaf since I’d last been here just a few days ago. That rainy day must have taken those remaining leaves down. Now they carpeted the ground and the steps. The greens and yellows of these newly-fallen leaves made a most pleasing texture, a sight that will be dimmed and obscured by a few more fall rains. But now those leaves were pristine and almost seemed to glow richly in the fast-fading light. I quickly got out my camera and took several shots. I was lucky to have recorded a couple of well-focused shots; the rest were blurred: taking hand-held shots with long exposures is a matter of luck and taking multiple shots increases the odds that a few might turn out well. Here are the best two photographs; the first is of leaves on the concrete steps leading up to the lot and the second is a texture study of the leaves on one step." * Added photo of planting ceremony at school garden in Loosbroek, the Netherlands. * New photo-page: female tree showing the leaves fall before the seeds. On a Japanese website (unfortunately I can't read Japanese) I saw this cute picture that you download in a huge format. 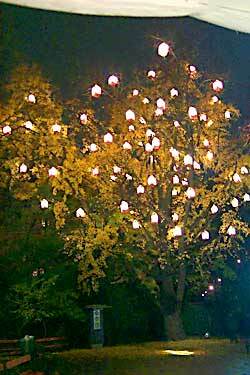 * Added photos of Ginkgo trees in New York City and Washington D.C.
* New topic: New theory about the spelling "Ginkgo". According to Prof.Wolfgang Michel-Zaitsu of Kyushu University in Fukuoka-City, Japan, Kaempfer's linguistic information about the spelling "Ginkgo" is connected to the Kinmôzui, a pictorial dictionary from the 17th century. Read more about his theory here. You have a wonderful web site, there is so much to explore, which I'm enjoying very much. I have been making my own tinctures from the leaves of the Gingko trees in my area. I would see Chinese people picking up the berries but never knew what they were good for. In the past few days I did a Google search and found out what the berries are good for. A friend told me that the berries could kill you, so I asked a young Chinese fellow that runs his Mothers health food store, what are Gingko berries good for? He seemed to get excited and told me a number of things, including how to crack the nut to get at the seed. He also told me that if you eat 6 Gingko seeds a day you will live to 100 years old. There are lots of Gingko trees here in New York City and I have been collecting all that I can carry. The first time that I removed the pulp in my sink with my bear hands the next day my hands felt very rough and a thin layer of skin started to peal off, so the next time I followed the advice and put on rubber gloves, which solved the problem. However, I think there must be something good that the pulp can be used for. I will go back to your web site and see if you have any information on what the pulp might be good for. If you can give me a lead I'd appreciate it. 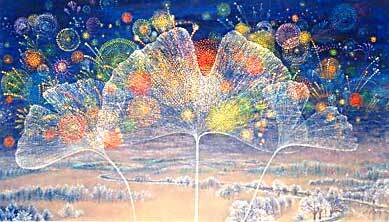 I'm very excited about the Gingko seeds. I've been eating 6 a day and added a few to my vegetables. I'm going to your web site and see what else I can find out. * New photo photospecial page: Ginkgo near Capitol, Washington D.C.
* Added new photopage: old Ginkgo in Japan with chichi. I am really in love with this tree. It's so majestic. 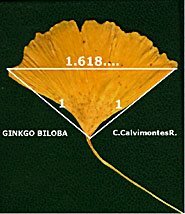 My wife and I just bought our 1st single family home, and I plan on having a ginko as a part of our family. I do have one issue though, our back yard will not support a 40 foot tree. With that, if i buy a 5 gallon tree, can I pot if for a few years. By that time we will have more space to put in ground. Anyone out there potting? Thanks for the help! - Topic sent by Damonhines. 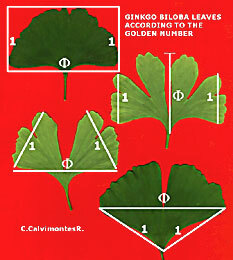 * Added picture with Ginkgo Golden Number, sent to me by Carlos Calvimontes Rojas, thanks! Spanish version. * Added photos of Ginkgo trees in Switzerland, Estonia and Canada.